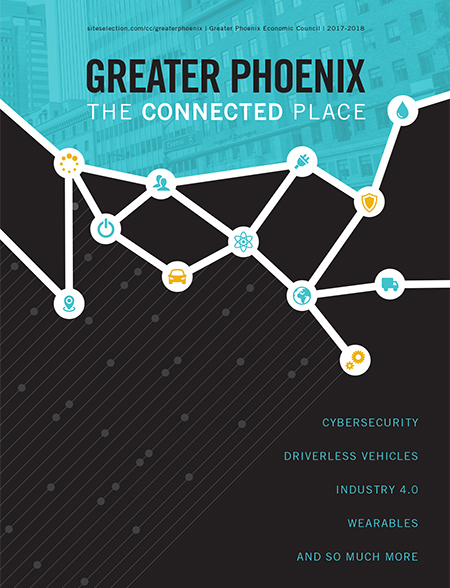 From wearables to autonomous vehicles, Greater Phoenix is "The Connected Place." Emerging electronic companies find the resources needed to create the next high-tech sensors. Greater Phoenix takes the lead in the growing Internet of Things industry. Arizona State University and Starbucks Coffee expand their partnership to educate more students. Salt River Project is turning the Arizona desert into an oasis of high-end data centers.